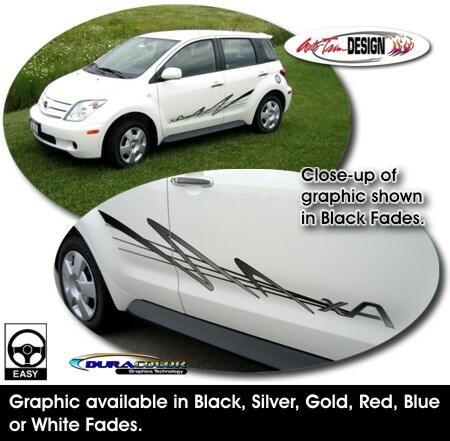 Dress up your xA with this fun Body Side graphic kit, designed for the lower portion of the doors as shown in the picture. These graphics start at the front with "xA" badging and is uniquely designed with gentle one color fades. Available in one of six (6) different color schemes, these graphics will look Great! The graphics are packaged with one (1) Driver Side and one (1) Passenger side graphic.